We wanted to create a video game that all of our team members would enjoy and that also has mechanics we have never seen before in video games. Initially we were inspired by MOBA tower defense games, but we wanted some unique mechanic to the game, so we spent a number of hours brainstorming to figure out exactly what we want to do. Hydro Hunters is a 2 player tower defense bullet hell game. 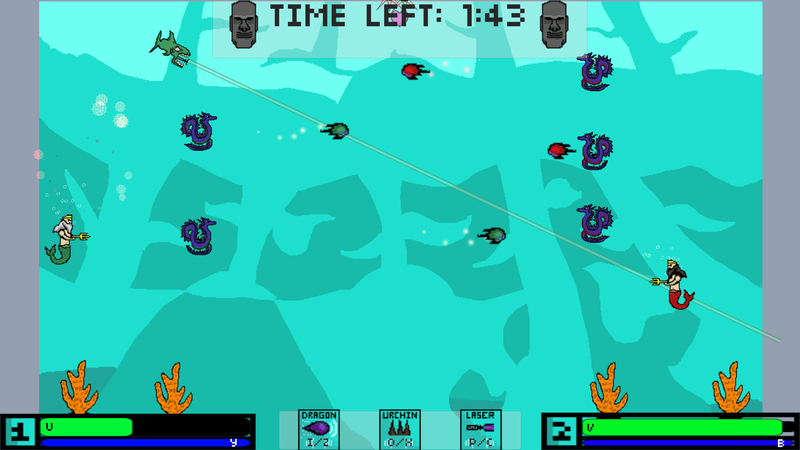 There are 2 players fighting against each other, and the goal of the game is to attack the opponent until they reach 0 health. In order to attack the opponent, the player needs to create towers that shoot at the opponent, such a a tower that shoots straight, a tower that shoots toward the enemy, and a tower that shoots a laser toward the enemy. 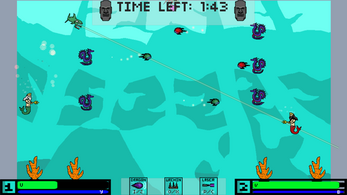 The players may also shoot their own bullets that can take down opponent towers. In order to build a tower, there is an associated health cost. Both players control their character with the keyboard, and the keyboard controls are listed in the game. We built the game using Unity, Photoshop, PiskelApp. We ran into trouble mapping the controls to PS3 controllers, so we had to resort to using the keyboard for controls, which isn't as fun. We also ran into issues where the Unity collab cloud stopped working at the last, most critical, minute before submission. We think the gameplay is fun, and the art looks nice, especially considering the time constraints. We learned that Unity cloud can be unstable at times, and that we need to be prepared for any number of issues and finish early. If we continue working on the game, we can add more features, balance the game better, and create a party game that is even more enjoyable.